Problem. Show the difference between government and private pension funds. KIT Finance Fund carries pension savings management tasks for its clients. On its front page the site features a calculator that allows visitors to compare yield trends of two types of funds. 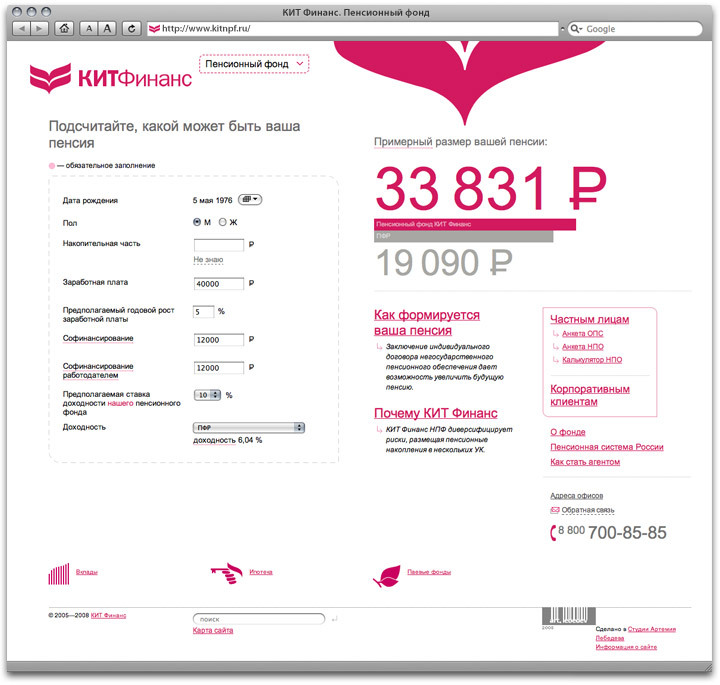 The site explains the pension structure, reviews the pension reform and describes services offered by KIT Finance.